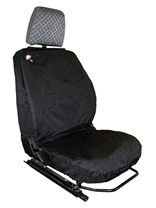 Interior accessories suitable for the Land Rover Defender. Inc. VAT: £50.70 Inc. VAT: Info UK VAT charged at 20%. Ex VAT £42.25 Ex VAT Info Outside of EU and EU VAT registered companies only (not UK). Inc. VAT: £46.80 Inc. VAT: Info UK VAT charged at 20%. Ex VAT £39.00 Ex VAT Info Outside of EU and EU VAT registered companies only (not UK). Special Price Inc. VAT: £21.00 Inc. VAT: Info UK VAT charged at 20%. Ex VAT £17.50 Ex VAT Info Outside of EU and EU VAT registered companies only (not UK). Inc. VAT: £28.54 Inc. VAT: Info UK VAT charged at 20%. Ex VAT £23.78 Ex VAT Info Outside of EU and EU VAT registered companies only (not UK). Special Price Inc. VAT: £23.40 Inc. VAT: Info UK VAT charged at 20%. Ex VAT £19.50 Ex VAT Info Outside of EU and EU VAT registered companies only (not UK). Inc. VAT: £168.62 Inc. VAT: Info UK VAT charged at 20%. Ex VAT £140.52 Ex VAT Info Outside of EU and EU VAT registered companies only (not UK). Inc. VAT: £123.76 Inc. VAT: Info UK VAT charged at 20%. Ex VAT £103.13 Ex VAT Info Outside of EU and EU VAT registered companies only (not UK). Inc. VAT: £32.76 Inc. VAT: Info UK VAT charged at 20%. Ex VAT £27.30 Ex VAT Info Outside of EU and EU VAT registered companies only (not UK). Inc. VAT: £32.72 Inc. VAT: Info UK VAT charged at 20%. Ex VAT £27.27 Ex VAT Info Outside of EU and EU VAT registered companies only (not UK). Inc. VAT: £354.20 Inc. VAT: Info UK VAT charged at 20%. Ex VAT £295.17 Ex VAT Info Outside of EU and EU VAT registered companies only (not UK). Inc. VAT: £11.82 Inc. VAT: Info UK VAT charged at 20%. Ex VAT £9.85 Ex VAT Info Outside of EU and EU VAT registered companies only (not UK).